Martha Gunter Caldwell ’39 was on the small side from the beginning, but she has lived a big — and long — life. When Caldwell — who turned 100 in April — was born, the doctors didn’t weigh her until she was wearing clothes, and even then the scale barely tipped 5 pounds. Three years of her childhood were spent in a back brace, and her parents constantly fretted about her health. In grade school, she had to drop out for a year to follow a rigorous regimen of physical therapy meant to correct the crooked bones set in her tiny frame. “She’s small, and she’s always going to be small,” Caldwell remembers one doctor saying later in her childhood. 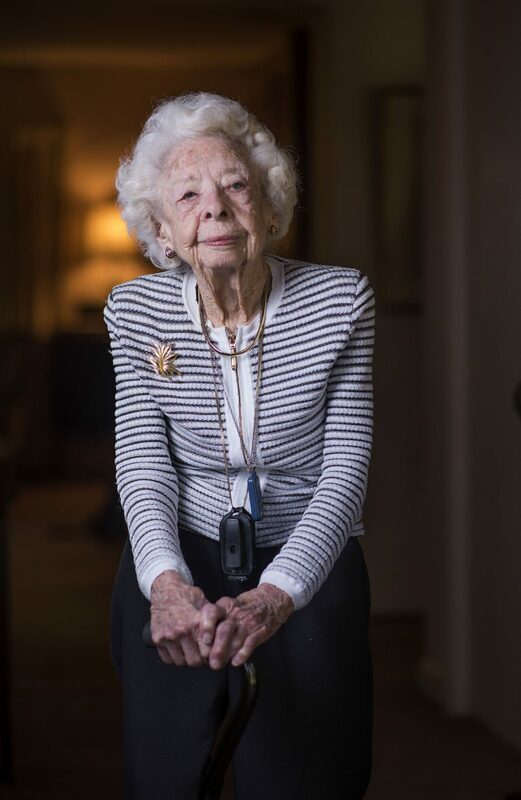 She may still be short — she’s a 4-foot-10-inch centenarian — but the scope of her life has been long. She still lives in her house by herself, surrounded by memories of a full life, about which she gives quick-witted accounts: a ticket from Super Bowl II, when Green Bay beat Oakland 33-14; photos from one of several trips to Antarctica. And there are memories from UNC everywhere — a textbook, a yearbook, a vintage Daily Tar Heel — in her ranch-style home, which she navigates with ease without cane or walker. 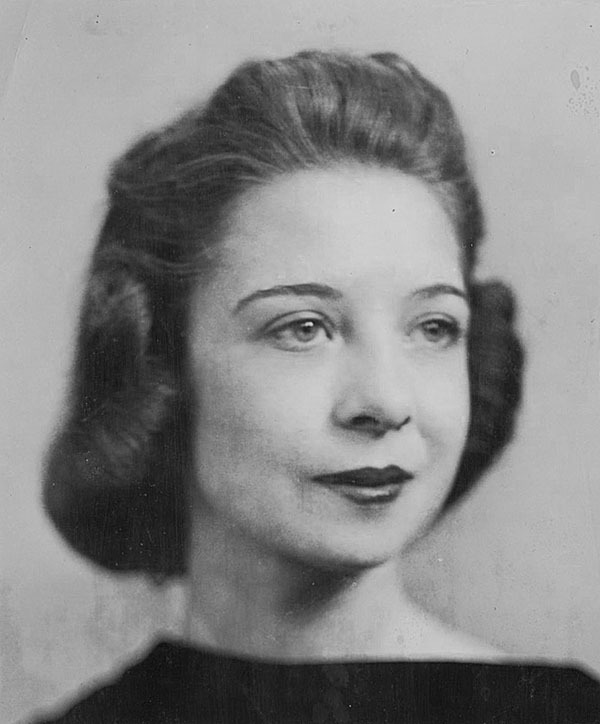 Caldwell graduated from UNC at a time when few women attended college. She lived in Spencer dorm, joined Chi Omega and ate on Franklin Street (the Carolina Coffee Shop was a favorite). At a UNC dance, she met the man who would become her husband, Dr. Jesse B. Caldwell Jr. ’38 (’39 CMED), for more than 50 years. She fell in love with the University, too. Her devotion to Carolina was contagious, and myriad children and grandchildren went on to attend the University. You might see some of them and their matriarch passing a funnel cake around Kenan Stadium at their annual family reunion, which is always planned to coincide with a UNC home football game. Martha Caldwell talks about her Tar Heel history. When you were at Carolina, what was a typical day like? 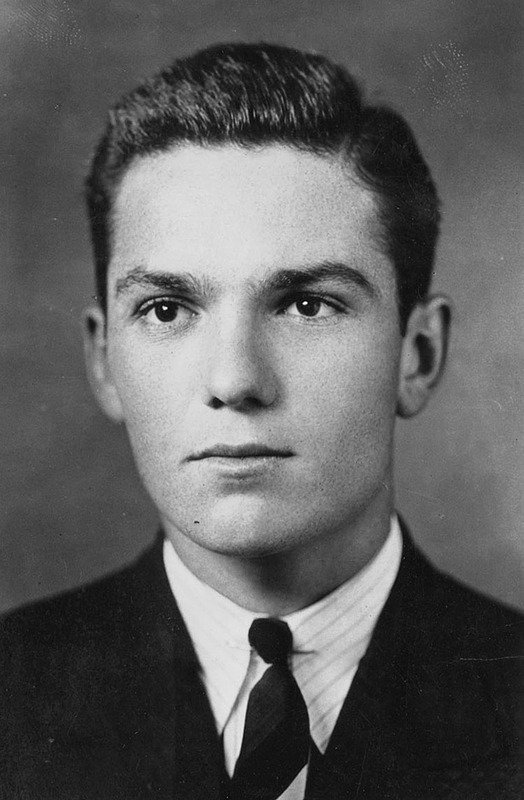 What was dating like in the 1930s at Carolina? Was the Varsity Theatre open on Franklin Street then? You never broke curfew, right? You met your husband at UNC? You graduated in 1939, as World War II was starting. Did friends you met in college go on to fight in the war? How did you go from Carolina, to the Red Cross, to Gastonia, to Antarctica? “My husband liked to travel and see the world. And, of course, his profession tied him down greatly. But he loved nature, and I remember we took one trip down the coast of South America … to the very end of the country, and we ran into these people that were coming back from Antarctica. And he started talking to them, and he said, ‘Did you really enjoy it?’ He said, ‘Oh, yes, if you go once you’re like to go again.’ So he wanted to go because he wanted to see the world, he loved all that. Martha Caldwell, Tar Heel for life. So your husband was a fan of Antarctica. Were you? You are a centenarian, and congratulations on that. Any advice for those of us who would like to join you sometime down the line? What advice would you give a student just starting at UNC?